The very definition of a classic comic, this now-familiar tale of the revival of Captain America after 18 years in suspended animation, his role in saving the Avengers from the trap laid for them by the Sub-Mariner, and his consequent induction into the team as the Hulk's replacement, "epitomizes the sprawling action and operatic bombast of the Lee/Kirby school of super-heroics" (to quote from my article on the Avengers for Alter Ego). A stellar example of how good so-called compressed storytelling can be, its lean but complex plot covers enough incidents to fill half-a-dozen contemporary comics without ever feeling rushed or crowded. Stan's dialogue, over the top though it inevitably is, is more restrained than usual, conveying the anguish of the revived Cap in one of the most powerful sequences he will ever script. The inking of an uncredited George Roussos, decried by many as crude and sloppy, effectively captures the raw power of Kirby's pencils in a way slicker inkers like Sinnott or Ayers cannot. It is, to quote myself again, "the right look for this story." There is no touching personal story or nostalgic memory to go with this selection (I first read it in a friend's coverless copy of Avengers Special #3, acquiring a copy of the original a few years later, and sold that decades later when I bought the first volume of the Avengers Masterworks). It earned its place on my list through sheer merit. Here's a comic I've never owned and likely never will, given the exorbitant prices it fetches. Of course, the reason it's such a hot commodity is the story "My Heart Broke in Hollywood! ", seven pages of pure Steranko genius. 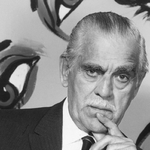 While Steranko is best known for the radically hip and innovative aesthetic he brought to Marvel's superhero world, for this romance story he uses Stan Lee's typically overwrought dialogue as a vehicle for a more emotionally expressive style. The angst-ridden body of the superhero, so often depicted in conflict with the rationalized grid of the comic book page (think of those sequential panels of segmented bodies) is replaced here by the lovelorn body of our heroine, constantly exceeding the boundaries of the panels. The psychedelic swirls and acid-trip color pallet splash across each page in an orgasmic explosion. To quote the protagonist, reflecting on falling in love, it's like stepping into "a paradise of ... unbridled imagination." Leave it to a love comic by Steranko to remind me how much I love the medium itself. 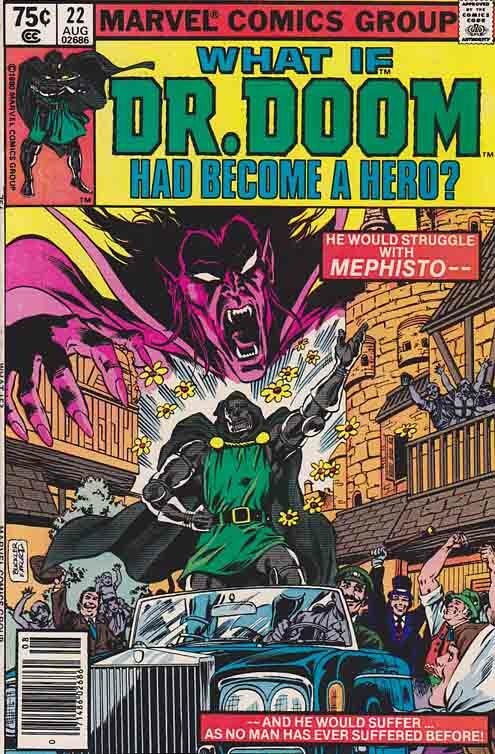 "What if Doctor Doom had become a hero?" I'm pretty sure this was the first issue of the series I read, and it may have been my introduction to the idea of alternate realities. What a concept! 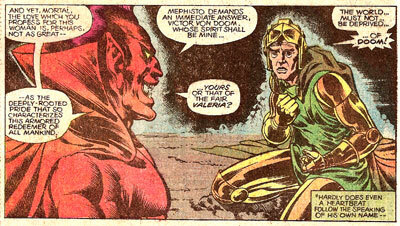 After a battle, Mephisto offers Doom a choice: render either the soul of his beloved Valeria -- or his own -- in exchange. Now it is Valeria he struggles to free each year on midsummer's eve. This issue stood out from other What If...? stories I read at the time. Many of them could be rather cheesy, and gratuitously tragic (just because they could be), but this one feels genuine. The writing is excellent; the art is appropriately moody and dark, and more realistic than usual. There were certainly other good issues to come, but this one made the first impact for me. A classic in ever way. If I had not misunderstood the requirements of this year's CCC then this would be on my list in about the same spot. Though it was during the early part of William Messner-Loebs' run, this issue was actually a guest issue done by Len Strazewski of the short lived JSA series fame. However, if you didn't look at the creator credits, you would never be able to tell. Strazewski perfectly captures the sense of fun and adventure that Messner-Loebs filled his Flash stories with. In this story,Wally is using his JLE transporter tube to visit Paris for a short vacation. Unfortunately, he stumbles into an assassination plot involving Phantom Lady who is being pursued by Merlyn and Syonide. What happens from their is a series of hijinks and fun very reminiscent of the Giffen/DeMatteis JLI book from the same time. I've been on-board with Kurt Busiek's Astro City comic right from issue #1. I was browsing through my local comic book seller's long boxes one day circa 1995 and, frustrated at not being able to find anything that tickled my fancy, I asked the owner "can you recommend anything good that's come out recently?" Straight away he pulled out Astro City #1 and, knowing my tastes in comics somewhat, assured me that I'd love it. He was right, it was a brilliant book. 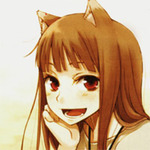 Since then I've never missed an issue and even my forum username is derived from a character in the series. This special #½ numbered issue of Astro City was released exclusively through Wizard magazine, during the break in publishing between series 1 and series 2. What could've easily been a throwaway promotional comic designed to part obsessive Astro City fanboys (like me!) from their cash, actually turned out to feature one of the most moving stories I've ever read in a comic, "The Nearness of You". I know that there are a number of fans of this story in the forum, so I won't go into too much detail about the plot...and I certainly don't wanna spoil anybody who hasn't read it. By the way, if you're reading this and you haven't read "The Nearness of You", then you jolly well should because it's fantastic. I know that this is a somewhat predictable choice of favourite Astro City comic (it's widely regarded among fans of the series as one of the all time best issues), but ultimately it had to go on my list because it is one of the few comic books to really touch me. I don't know if I'm just a hard hearted old git, but I find that comics rarely have the power to move me on a deep, emotional level in the same way that a film or a piece of music can. However, there are exceptions and "The Nearness of You" is definitely one of them. This is another random flea market purchase that I made in 2002, and like that purchase of Elfquest this was a random buy that lead me to so much more. Every year in my home town there's a big group yard sale held on the town common, usually its the regular junk you see at every yard sale but I usually go as you can snag used books pretty cheaply, comics are fairly rare here but in the summer in question I found a dog eared copy of Timespirits #4 for ten dollars. I had no idea what it was about and couldn't browes its pages as it was sealed in one of those hard plastic cases and signed by Rich Vietch whom I was familiar with from his work on Swampthing but the cover was intriguing; it had a giant bat monster, an Indian and the three wisemen heading towards Bethleham...with an eclectic gathering of elements like that on the cover I figured the story had to be great and when I got home and cracked it open I found it was awesome! It had horror, sci-fi, alternate history and best yet...Dinosaurs! But it was only one issue...and I needed more and so I went to my comic shop but couldn't find another issue. This was just before the true rise of ebay and amazon, sure they had stuff available on online but not in the quantities they do now so the internet was no help. Instead, armed with my newly acquired drivers license and my mother's car I went to just about every comic shop in eastern Mass and Rhode Island until I had all the other issues. It was an epic journey, and would mark the first time that I really went above and beyond in order to track down a run and although ultimately my first purchase was just about the only decent issue in the story I had a lot of fun looking for those other issues so I'll always hold #4 dearly in my heart. I was 17. 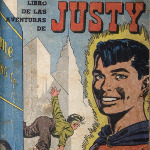 I had been reading comics 9 years and had read nothing but superhero comics. It was time to branch out. But the branching came slowly. My introduction to adult, sophisticated storytelling was thus most likely to come from a superhero comic, just perhaps one that didn't resemble any superhero comic I'd ever read. For me, this 12 part series is how I grew up in my comic reading. I was exactly the right age for this quite sophisticated-but-still-a-superhero comic. I had seen Jae Lee's art before in Namor and it had been terrible. He disappeared for a bit, learned to draw, and came back with a vengeance. This series looks beautiful. Jenkins presents the Inhumans as a small reclusive nation, one with its own customs, including some less than savory aspects of the culture, and as a nation that has reluctantly been forced to deal diplomatically with other nations. Maximus schemes, Karnak sees the flaw, foreign nations see opportunity for power, and Black Bolt remains silent. Choosing which issue to spotlight was a tough one. I thought about the first one, and the last one, and the one told entirely from Lockjaw's point-of-view. But this is the issue that stands out the most to me. The story of what it is like to be a teenage Inhuman, about to undergo the Terrigen Mist transformation process. We get excellent character work from a new generation of characters, and see the flaws in their society, with its rigid systems. Genetic chance determines futures, ends friendships, and casts one teenager into the subterranean depths, there to work to power the machines as an Alpha Primitive. The Alpha Primitives were once slaves to power the machines. Now they work to power the machines, as free men, free men doing the only thing they have ever done. That was a great series. Always been a fan of the Inhumans and thought so much more could be done with them, so I guess I should be happy with what Marvel's doing now, but it's more them trying to substitute Inhumans for X-Men, leaving me feel kind of resentful. What kid didn't like the Avengers ? I was a huge fan up until Disassembled, but that's another rant. I had greatly enjoyed the previous 2 issues of the Watcher's tales of What Might Have Been, but my eyeballs practically popped out of their sockets when I saw this cover. Tragically, I was flat broke. I pleaded with my buddy Bryan to lend me the 50 cents for it and he did. I paid him back the next day. There was only 1 copy and God help me if it's gone when I come back ! That's an angle the newer generation mostly didn't have to worry about, and now issues are available digitally whenever you want to buy. Shooter writes this, Goodwin makes a footnote on the opening page that this is the last we'll ever see Iron Man's original golden armor, and Kane and Janson deliver in spades. Great story, great cover, great art, this one has it all Effendi ! Instead of going after the Hulk as they did in the original Avengers tale, Hank Pym stops everyone and reminds them that the Avengers are purely volunteer driven. No oath was taken. So Thor moves on, making Giant Man realize that as far as powers go, his are not exactly first class. So he and wasp retire to become scientists. This leaves Iron Man on his lonesome to fight the now combined might of Namor, and the Hulk. How does he decide to do it? 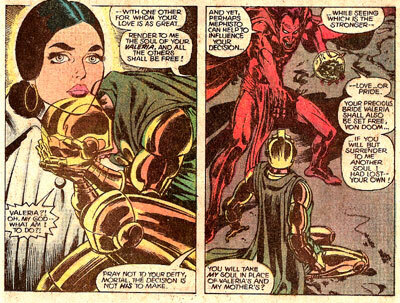 He builds Iron Man Armor for the Avengers, and the Hulks sidekick Rick Jones. Everyone refuses to join him, so Iron Man ends up battling the two by himself, they nearly kill him, but at the last minute the rest of the team shows up in Armor. Wow! What If showing up in a few places during this CCC.. and even 90s books. This is why I look forward to this all year. Now I know we're getting down to it, because my top picks are starting to also appear on other people's lists. It's like clockwork! Even with a countdown as personal as this year's, no matter how unique you think your picks are going to be, other people almost always have them as well. Or in other words, two of today's picks so far are still to come on my list. Synopsis: Amanda Waller organizes a mission to take down the Jihad before they can attack the U.S.
Why I chose it: If most comic collectors are anything like me (a terrifying thought, I know) then they will have a series that they regard as 'their series': a series that was never incredibly popular, but which they loved, and which they got in on the ground floor of, following it all the way to cancellation. Suicide Squad is 'my series'. Suicide Squad offered up an exciting mix of action and espionage, combined with some deep emotional involvement. 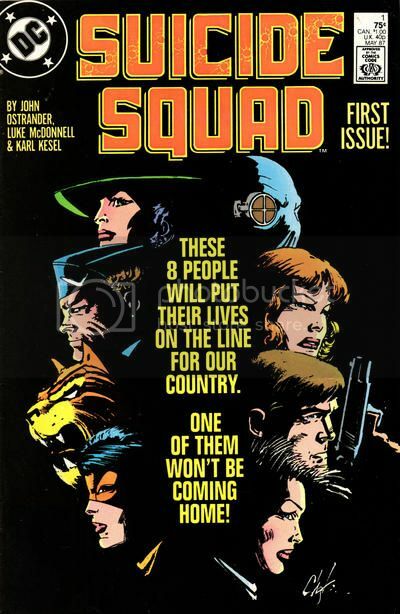 The fact that these were characters that no one cared about up freed John Ostrander to do what he wanted with them. He added real depth to what had previously been cardboard characters (pretty much everything about Deadshot's personality was created by Ostrander in this series). And he made you care about these characters while never letting you forget that these were horrible, and/or severely damaged, individuals. And he created a fantastic supporting cast, including Amanda Waller (the real Amanda Waller, not the waifish supermodel who appears in the New 52). When it was cancelled, I cursed the narrow-mindedness of the suits in the corporate who cared only about money and not story-telling, and the stupidity of fanboys who wouldn't know quality comics if they bit them on the arse and only wanted to read about Wolverine clones. So, Suicide Squad = 'my series'. That's another one of my favorite parts of this celebration; seeing just how different AND similar our tastes are.